On Saturday Chris Baldwin was the sole Denbigh Harrier to take part in the undulating Brynkinalt 10k Trail race. Despite a fast half of the race that saw him suffering a little at the end he held onto 27th place. 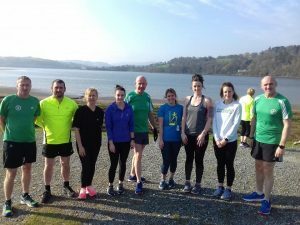 Also on Saturday the Denbigh Harriers organised Run for Fun course culminated in the Conwy Parkrun. This 10 week course trains runners of all abilities to a level where they can comfortably complete a 5k run. The course is organised and coached by a dedicated group of qualified run leaders. 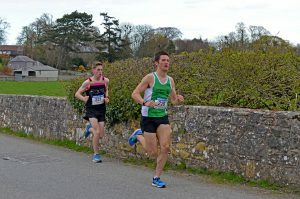 Sunday saw a double billing of races in Denbigh organised by Bespoke Fitness with 16 Denbigh Harriers taking part. 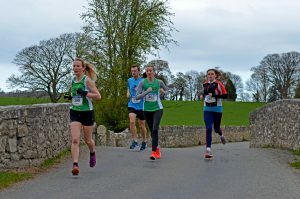 In the hilly 5k race new member Elizabeth Hayes won the 1st female prize with over 90 seconds to spare. It was good to see Hannah McDonnell back to running after a long injury absence. The 10k race saw a magnificent winning run from Shaun Hughes who is in the middle of marathon training. His time of 36.11 is equivalent to a much faster time on a flat course and the Denbigh course climbs over 200 metres. There was a second place in the women’s race for Rhian Griffiths Jones in 46.36. Mel Morris had a very strong run of her F40 category win and just behind here was Mari Wynne Williams in a new PB. The evergreen Bob Neale won the M60 category leaving a swathe of younger runners in his wake. 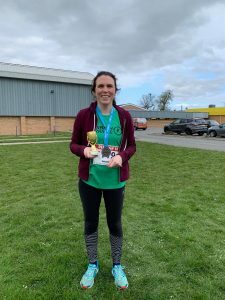 This entry was posted in 10k, Alison Baugh Memorial Trophy, Parkrun, Run for Fun, Weekly report. Bookmark the permalink.